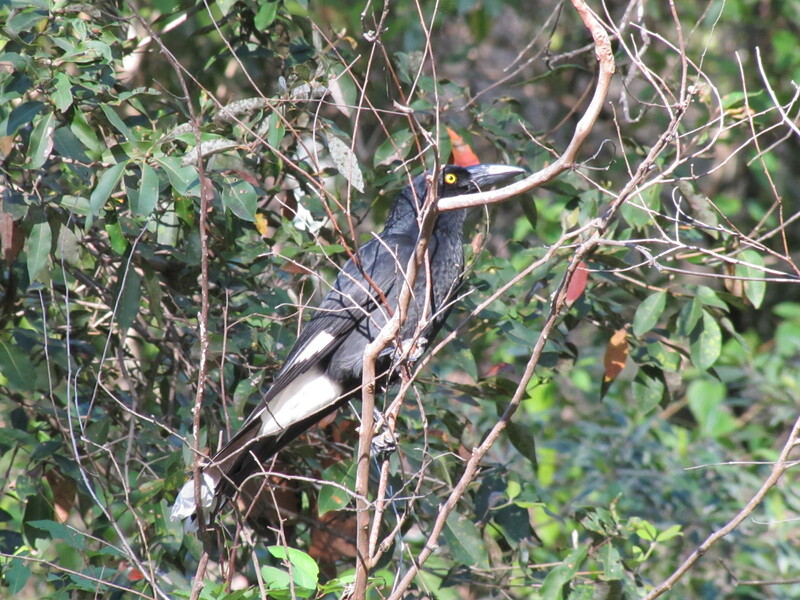 While we were having afternoon tea in the Lane Cove National Park in Sydney a Pied Currawong flew into a bush nearby. It stayed for a few moments before flying off again. When ever I see this species – and its cousin the Grey Currawong – I am taken by that glaring eye. It almost looks malevolent in intent. Now it is very unscientific of me to assign human characteristics to a bird, but I can get away with it here because this doesn’t pretend to be a scientific site by any definition one cares to dredge up. I just want to share with the world my bird sightings, illustrating them where possible with photos I have taken. Having said that, I must say that describing the currawong as being malevolent from a human point of view is not all that far from the truth. Granted – the currawong is not intentionally being nasty; it just seems that way from the viewpoint of compassionate humans – and a whole host of small birds and animals. Currawongs eat a wide range of creatures, including smaller birds, bird eggs and nestlings, small reptiles, spiders, insects and will even steal take food at picnics, fruit from trees and garbage. 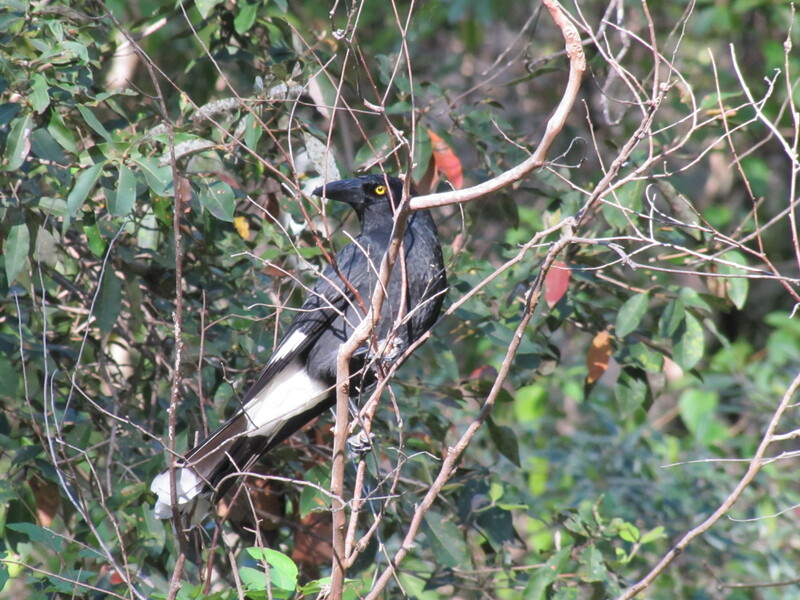 All that may seem nasty and cruel to compassionate, animal-loving humans, but for the currawong it spells survival. The nestling of a honeyeater may mean the survival of the nestling of the currawong. It’s a huge, wild, nasty world out there. And I still think its eye is rather evil.